What criterion should be used in selecting government leaders? What does God say? “Righteousness exalts a nation: but sin is a reproach to any people” (Proverbs 14:34). Do right by God and He will do right by you. Honor the Lord God Almighty. Stay true to His standard of Righteousness—the Word of God. Rely upon the source of righteousness—the Lord Jesus Christ. Adhere to the laws of the land—especially the foundational documents of our country, primarily the United States Constitution. God established the governmental system of authorities, laws, etc. as a means of insuring that society could function decently and in order. 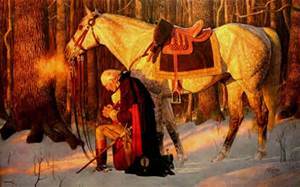 “Everyone must submit himself to the governing authorities, for there is no authority except that which God has established. The authorities that exist have been established by God” (Romans 13:1). Our country is in grave danger of removing the ancient landmarks (Proverbs 22:28). Without a uniform standard of government that is just and equitable, this great country, with which we have been blessed, will begin to deteriorate, crumble and collapse. In fact, it is already beginning to happen. Therefore, it is absolutely imperative that we select leaders that most closely uphold these standards. We need leaders that will adhere to the Constitution and serve the best interest of the citizens, not their own personal agendas. What hope is there for our country? There is always hope with the Lord! But… We must stay the course. We must repent wherein we have veered from the path of God’s righteous standard. We must pray diligently, fervently, and expectantly in faith; for only Almighty God can turn the tide. 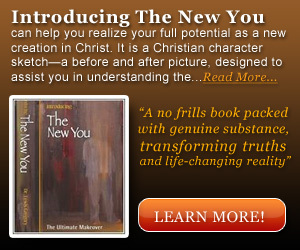 “Confess your faults one to another, and pray one for another, that ye may be healed. The effectual fervent prayer of a righteous man avails much” (James 5:16). In light of the present conditions, could this possibly do any good? Absolutely! Consider Abraham, the father of faith as a classic example of a righteous appeal. “And Abraham drew near, and said, Wilt thou also destroy the righteous with the wicked? Peradventure there be fifty righteous within the city: wilt thou also destroy and not spare the place for the fifty righteous that are therein? That be far from thee to do after this manner, to slay the righteous with the wicked: and that the righteous should be as the wicked, that be far from thee: Shall not the Judge of all the earth do right? And the LORD said, If I find in Sodom fifty righteous within the city, then I will spare all the place for their sake” (Genesis 18:23-26). For the sake of the righteous God is willing to spare mankind. The old saying, “a little leaven leavens the whole lump,” applies to the positive as well as the negative. Because of the Apostle Paul’s prayer, God spared the lives of all the passengers on board with him when they were shipwrecked (Acts 27). But as then so now, we must take a stand for righteousness, hope against hope, and remain strong in faith. Times of crisis are always a healthy reminder of our need of God, and remember nothing is too hard for Him! God has provided us with a clear formula for restoration, but we must follow His instructions explicitly. “If my people, which are called by my name, shall humble themselves, and pray, and seek my face, and turn from their wicked ways; then will I hear from heaven, and will forgive their sin, and will heal their land” (2 Chronicles 7:14). God is merciful and compassionate. He is just and righteous altogether. When we respond to Him with our whole heart, He will respond to us. A broken and contrite heart of true repentance will touch the Heavenly Father’s heart. What is the Father’s heart? “As surely as I live, declares the Sovereign LORD, I take no pleasure in the death of the wicked, but rather that they turn from their ways and live” (Ezekiel 33:11). Where sin abounds grace does much more abound (Romans 5:20). God prefers to restore, rather than to destroy. He desires that we choose life, so that we might truly live! So let us receive God’s mercy and grace to help in our time of need. Therefore repent, humble yourself before the Lord, and call upon the name of the Lord, so that He might hear from Heaven and heal our country. Dear God Almighty, in the name of Jesus Christ the Lord, I beseech you to rule and overrule in the affairs of men. Grant us leaders of character, conviction, and commitment who will uphold the Constitution and run the government in a responsible and efficient manner! 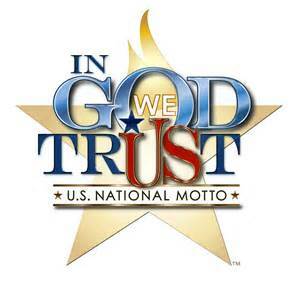 And may we all remember and adhere to our national motto: “In God We Trust” for you Lord God are our only hope!